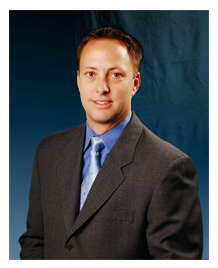 John C. Belt has been a Scottsdale family law attorney and divorce lawyer for almost two decades. In that time, he has helped thousands of individuals and clients through their child custody and visitation negotiations across the Northeast Valley. Parents in Scottsdale, Paradise Valley, Fountain Hills and across the Northeast Valley have relied on Mr. Belt for his compassionate, knowledgeable, and experience-based approach to family law. As a graduate of the United States Air Force Academy, as a well-respected family law attorney in Arizona, and as a committed father to his six children, he is an ideal attorney if you are seeking a legal professional that can be counted on in difficult times. Call the Belt Law Firm at 480-837-3600 to discuss the details of your parenting time and visitation questions. Perhaps you want more time with your children and need to modify your parenting plan. Maybe you are trying to negotiate your initial visitation schedule as you divorce and need assistance. No matter your situation, Mr. Belt will work with you to do what is in the best interest of your children and their long-term well-being. How is a fair visitation schedule created? What if we have a dispute about how much time one of us gets to see the kids? Does the child’s opinion influence the visitation schedule? I think the visitation schedule is disruptive to my child’s school schedule; can I challenge it? After a parenting plan has been submitted and filed with the court, is it possible to modify the parenting time agreement? Having an attorney to help anticipate and overcome challenges related to child visitation issues as you prepare or seek to revise your parenting plan will make the long-term health of your family’s relationship much more likely. 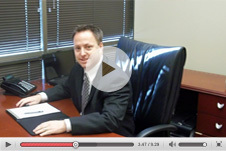 Call 480-837-3600 to speak with Scottsdale visitation lawyer, John C. Belt. Get the legal counsel and representation you need.